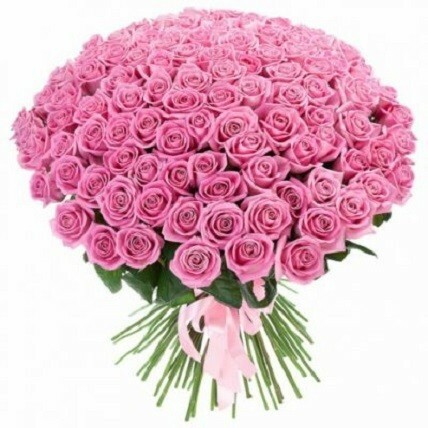 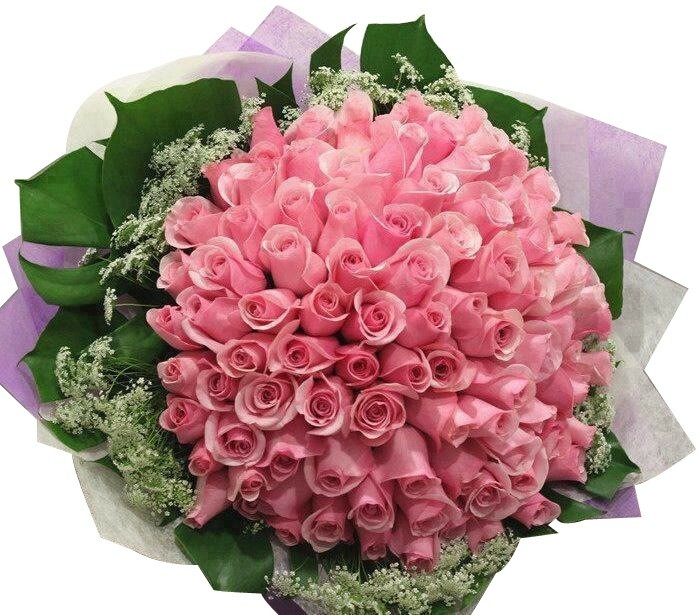 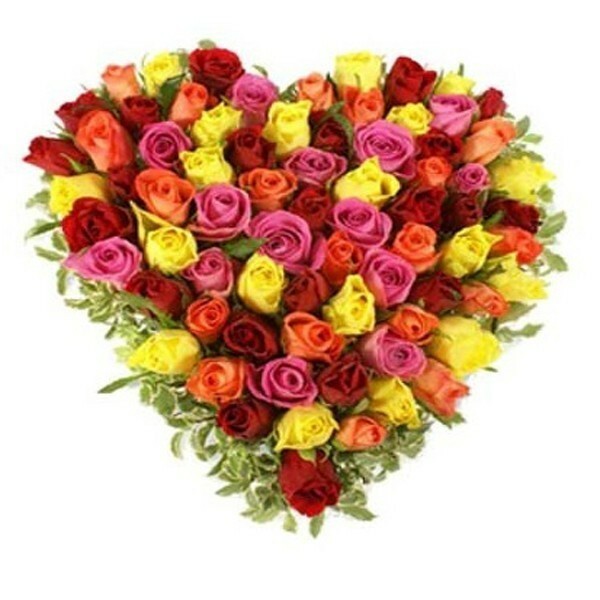 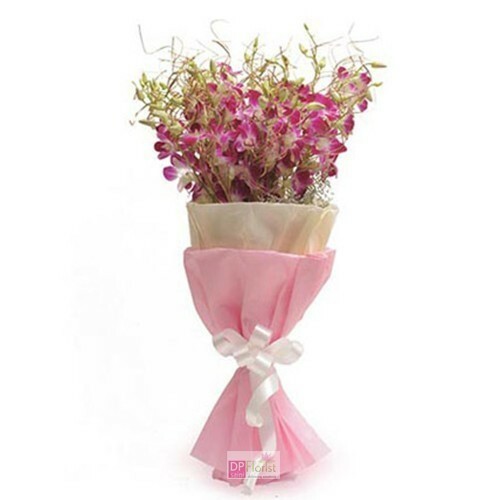 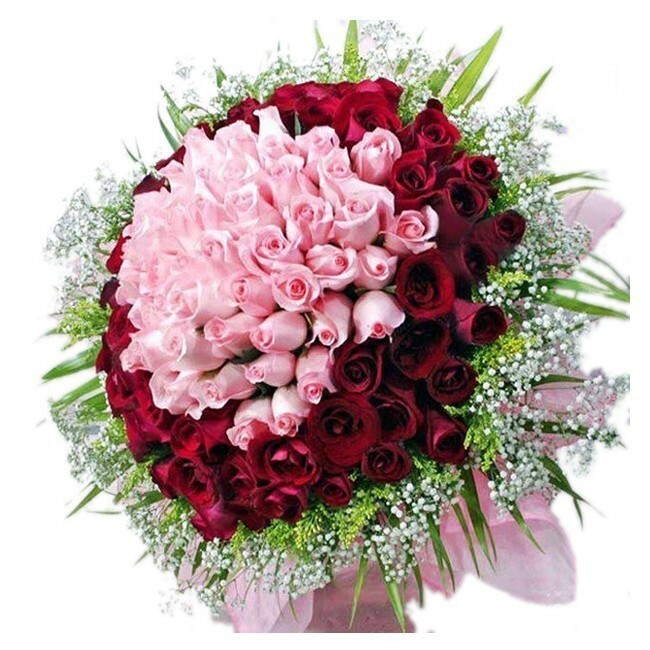 Send this lovely 101 pink roses bunch with pink ribbon to your loved ones and surprise her on this special time.Send this pink roses full of love to your sweetheart and make her day a very special. 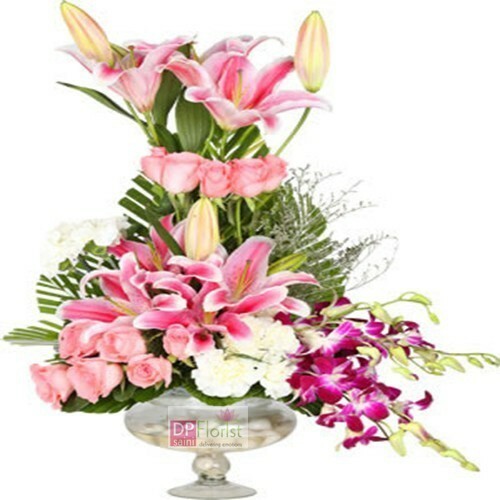 Send this lovely arrangement of white Lillies ,orange carnations white anthuriums,green brassica designing arrangement with unique jute creativity and green fillers to your loved ones and surprise them through this unique flower arrangement on any of the occasion through DP Saini Florist. 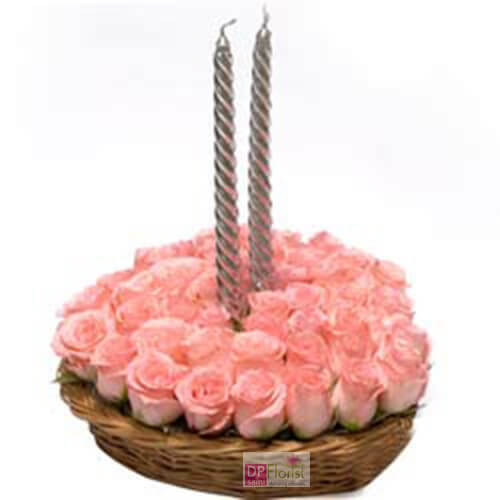 40 pink roses bunch with paper packing. 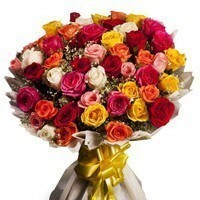 Send it through DP Saini. 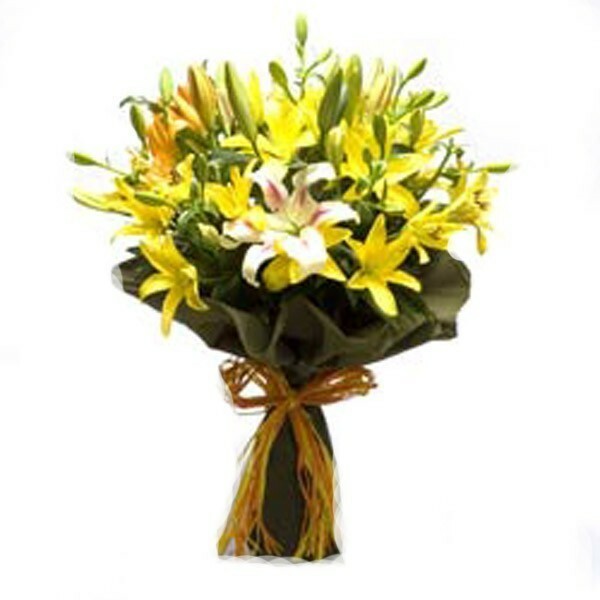 Bunch of 8 yellow,orange and pink lilies and paper packing with ribbon. 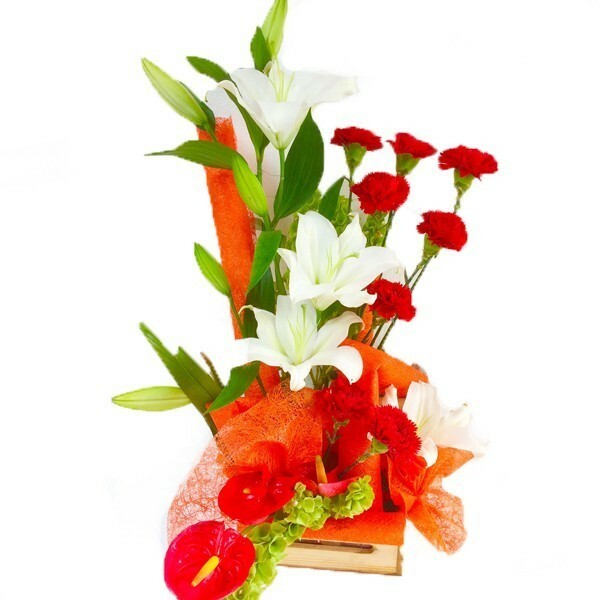 Send this lovely arrangement of white Lillies ,red carnation ,red anthuriums having red tissue and fillers to your loved ones and surprise them through this unique flower arrangement on any of the occasion through DP Saini Florist.